Rich in biodiversity and culture and a beauty unparalleled to many places in the world, boasting rich tropical forests, sandy beaches and magnificent views of the volcanoes. Located in Santa Cruz, a little village with incredible natural beauty and infrastructure - paved roads, grocery, restaurants, scooter rentals, hiking trails, beach and tourist attractions. LOW IMPACT TOURISM . MAX 12 PEOPLE ON THE GROUNDS AT ONE TIME. ​ Visitors please note, the access to ATMs is limited on the island. Most local restaurants, businesses, markets and lodging at Ometepe tend to prefer and accept cash as their payment method. Please ensure that you are able to withdraw cash in either USD or Cordobas (C$) when you arrive at Moyogalpa. There are three ATMs located all on the main road up from the port. One called Lafisse, the other located at the Mini Supermart and the third one called BAC which is across the street from the Mini Super Mart. Withdrawing sufficient cash to pay for your lodging, food and other expenses when you arrive will save you a few trips back and forth especially when you're further into to the island in areas like Santa Cruz and Alragracia. Eco friendly with clean and hygienic composing toilets and solar power. Sleeps 1 - 4 people. Two double beds. 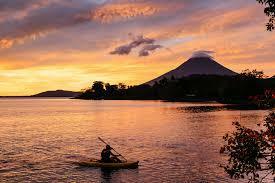 Vistas of Volcano Conception and Lake Nicaragua. 430 square feet, including the porch. A beautiful hexagon bungalow with cream flagstone flooring and a hand woven thatch roof with earthen walls to keep you nice and cool year round. Sleeps 1 - 2 people. One queen bed. Million dollar views of Volcano Conception. 430 square feet. A large loft room with magnificent hardwood flooring. Adjacent to the main house there is separate building consisting of shared bathroom. FOR YOUR CONSIDERATION: The island is home to an abundance of flora and fauna and has everything from waterfalls, black and white sand beaches, incredible nature hikes, ancient petroglyphs, scenic wetlands and a natural volcanic swimming pool. However if you have a phobia of spiders and other insects - our place may not be suitable for you as there may be a few spiders, ants or other insects that are in the cabin. We are located within the tropical dry forest and while we do our best by providing screened windows and mosquito netting there is always going to be a few little guys that get in. If you are looking for cities, bars or parties our place is not suitable. 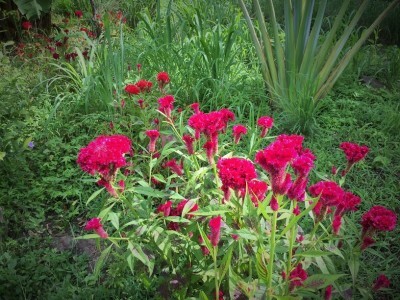 Our place is a quiet refuge away from the hustle and bustle. Not a typical hotel experience. 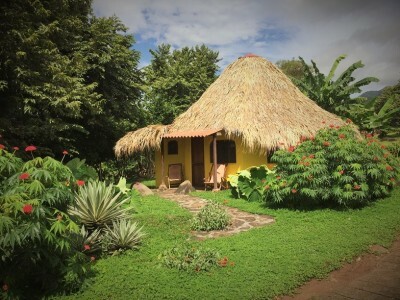 An Eco-lodge with private, spacious cabins on an organic farm offering tours, massage and more. People looking to relax or connect with the natural adventures, such as hiking in the area will love it! Finca del Sol is much better than a regular hotel /hostel experience. There is a selection of small restaurants and cafes in the area. Located on the foothills of volcano Madaras, the trail starts here! Break the mold and dive into your adventure today! Late check out's: you may store your things in the shed for free until later on in the day if you would like to leave later. Prices include govenmental taxes. (15% value). We hope to make your vacation time with us as easy and enjoyable as possible. This means guaranteeing that when you make a reservation we have that space available for you when you arrive. While we understand that plans change & accidents happen, and we try to provide the most flexibility possible when people need to cancel their reservations, however, when guests cancel on short notice, the cabins (we have refused to other potential guests) will most likely go unoccupied. Regardless of the reasons behind the cancellation this is not fair to the other potential guests who where denied the experience nor to us who are forced to bear the financial loss of the unoccupied cabins. Finca del Sol is a small Eco-lodge with 3 spacious bungalows in a pristine environment on an organic farm located close to most tourist activities, restaurants, bike and scooter rentals. Cancellations must be made in writing 21 days prior to arrival date for full refund, subject to any cancellation fees that may be charged by Finca del Sol and the administrative fee identified herein below. Deposit of 70% is required to secure your reservation. Breakfast, tours and /or the additional 30% of reservation is due in cash on your departure. We accept US dollars or Nicaragua Cordobas. If cancellations are not made in writing within 21 days the deposit may not be refunded regardless of the reason you are canceling. Changes on the number of nights after you arrive: If you wish to add additional nights and we have a spot we will be happy to host you. If you wish to drop nights from your reservation will kindly request that you pay 100% of your reservation, excluding the breakfast services regardless of the reason you are canceling. We have taken the time to provide accurate information online for you so that you can make an informed decision.